Great news for travelers out there! Here is another awesome sale tickets you can use for your trips for the last 2 months of 2017 and the first 3 months of 2018! Grab Cebu Pacific promo tickets to domestic routes for as low as P599 including the new routes of Davao to Tacloban or Tagbilaran. 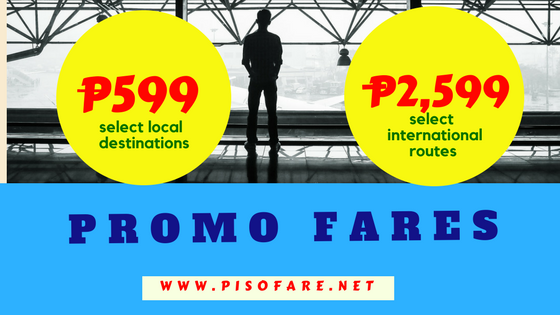 International promo fares of Cebu Pacific as low as P2,599 are available for travel to several Asian destinations like Hongkong, Singapore, Kuala Lumpur and more. Booking for the affordable fares is ongoing until September 17, 2017 or until seats are available. Hurry and book the Cebu Pacific sale tickets now! Limited availability of seats on sale! 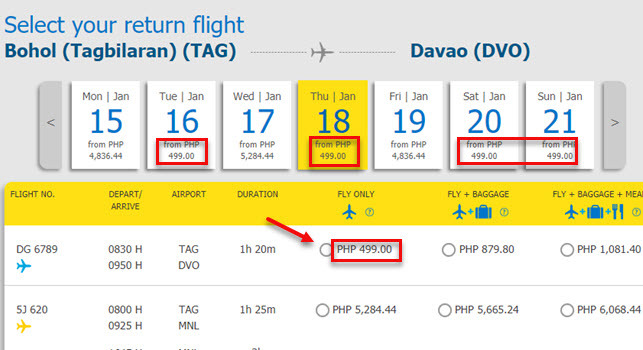 To show that this Cebu Pacific promo fares is legit, we shared below sale tickets Davao to Tagbilaran and Tagbilaran to Davao. Valid for one-way trip, the Cebu Pacific promo fares cover the vase fare, Web Admin Fee, taxes and fees as well as 7 kilos hand carry bag. Booking of return trip promo tickets also available subject to sale seats availability. The quickest way of getting the promo fares is by booking online at www.cebupacificair.com. Promo Code not needed when booking. All you need is your destination, travel dates, the personal details of the passengers (complete name, birthdate, contact info). Read this BOOKING GUIDE on how to book online Cebu Pacific promos. Other than booking online, you may also buy the cheap flights at Cebu Pacific ticketing and sales offices, travel agents and booking offices. Proceed to the nearest booking office ASAP if you want to avail the lowest fare. If you prefer, you can also reserve the Cebu Pacific low fares by calling the hotline numbers of the airline: Manila- (02) 702 0888; Cebu (032) 230 8888. 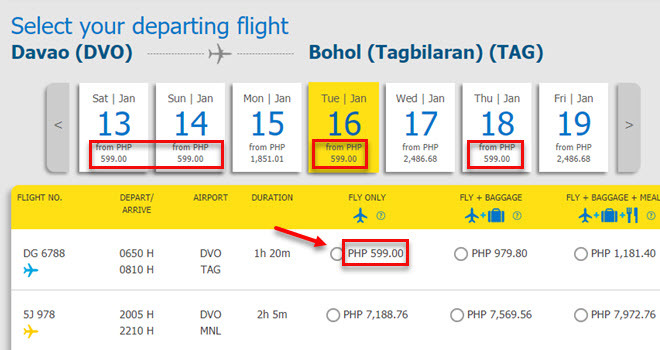 Booking online is the fastest way of getting the sale tickets of Cebu Pacific. Even if you don’t have a credit card, you can book tickets and pay in CASH. Yes, you can pay at these Cebu Pacific Payment Centers spread throughout the Philippine archipelago. Payment can be done within 24 hours from booking. After payment is received by the airline, you will receive your confirmation/ Itinerary Receipt the next day. However, in our experience we received the Ticket Itinerary within the day of payment. So, what are you waiting for? Grab the sale tickets fast before these are all taken. Book now or visit the airline ticket/booking office nearest you! For updates on Philippine Airlibes, Air Asia, Skyjet and Cebu Pacific promo fares and PISO FARE promos 2017- 2018, LIKE and FOLLOW us in Facebook: PISO FARE TICKET!! !